A snail horror comedy about a group of friends that find themselves out of their element and in a whole lot of trouble. The story of 5 friends being inventively murdered one-by-one might not sound like the most original pick for our Halloween week, but then most Horror films don’t feature snails. An entertaining mix of comedy and animated-gore, this latest short from Media Design School’s ‘3D Animation and VFX’ programme puts a novel-twist on a tried-and-tested Horror storyline. Despite orbiting around a group of infamously slow-moving molluscs, there’s certainly nothing sluggish about Escargore. With a run-time just over 5-minutes, a storyline that features 5 shell-cracking deaths and some fantastic character-design on the hapless herbivore heroes, this is an action-packed short intent on injecting a little fun into the Horror genre. Completed in four months by a group of 22 students, Escargore blends live-action and CGI to create its distinct aesthetic and should act as an impressive calling-card for everyone involved. Unlike most of the films we’ve featured in the build-up to Halloween, the aim of Escargore doesn’t seem to be one that’s set out to (shell)shock it’s audience. 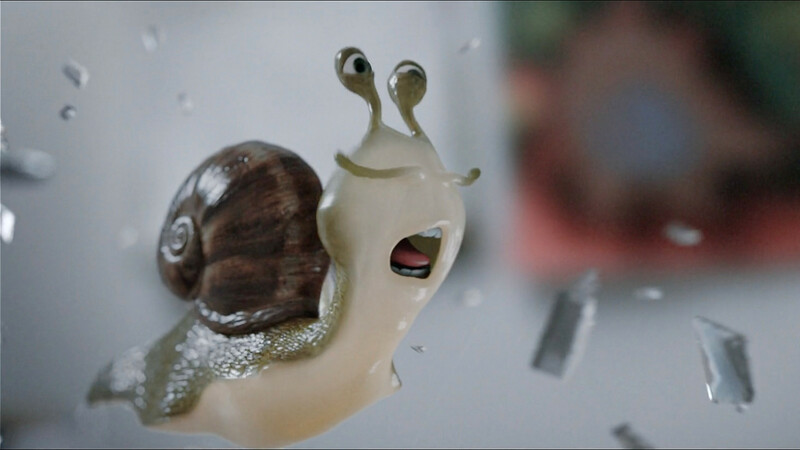 Instead this is a short that feels as if it’s creators have decided its main aim is to ‘lettuce entertain you’ and if that is the case…they really snailed it!